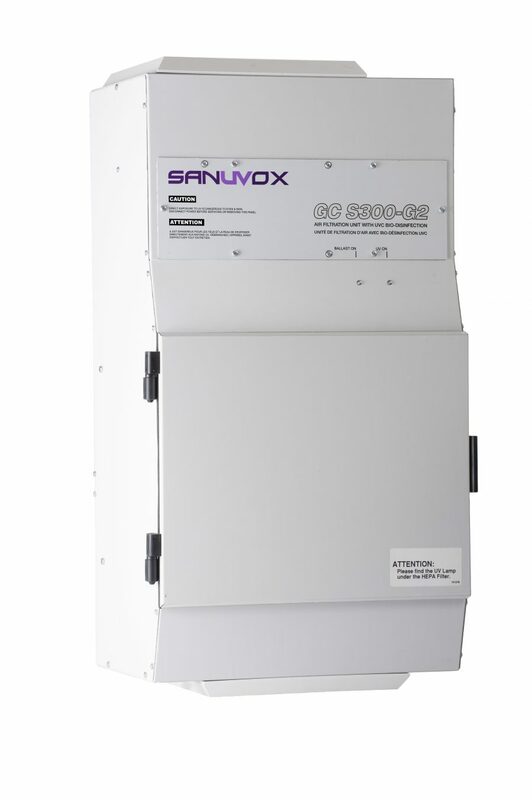 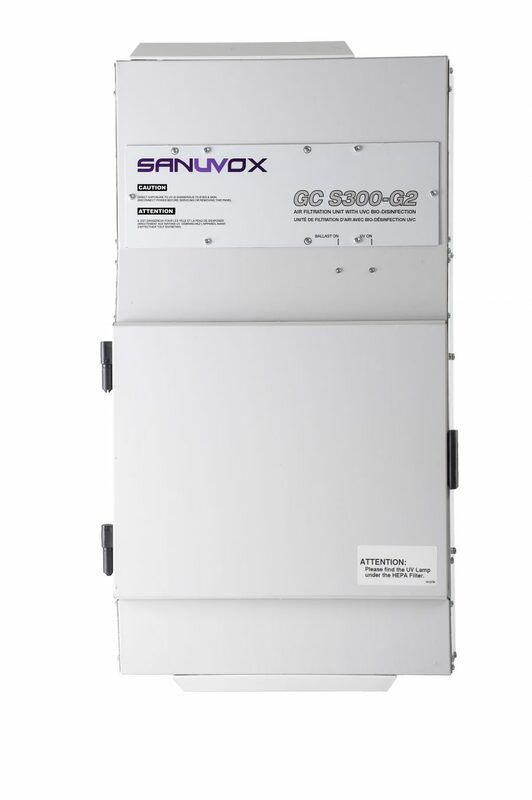 The Sanuvox Green Clean S300-G2 unit combines the synergistic capabilities of high-intensity UVC, carbon and HEPA filtration to capture and kill harmful biological and chemical contaminants found within a Cannabis grow facility. 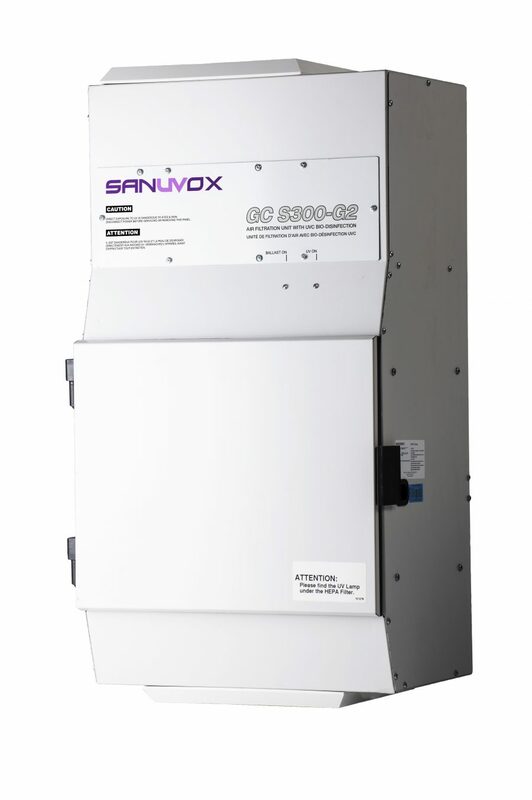 Contaminants such as Powdery Mildew, Botrytis, molds, bacteria and associated odors are all disinfected or eliminated with the use of the GC S300-G2 model. Engineered for rooms up to 6,500 cubic feet with no HVAC system, the GC S300-G2 unit continually recirculates and disinfects the air at a minimum of 6 to 8 times per hour. 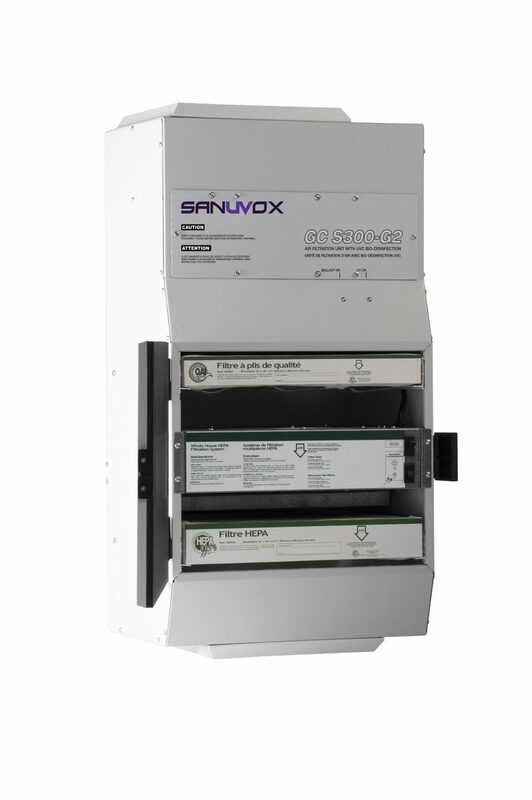 It is designed to be a self-operating unit that can be mounted onto a ceiling or a wall.